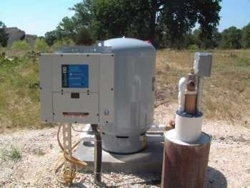 Austin Water Wells by Central Texas Drilling Inc. Thank you for checking out our page. Central Texas Drilling Inc. has been Austin’s first choice for residential and commercial water well drilling since 1940. Family owned and operated, we are committed to providing our customers with first class service and fast response times for all drilling inquiries. As fourth and fifth generation well drillers with extensive knowledge of local zoning permits and property maintenance, we guarantee accurate estimates and proper permit acquisition. Keeping the client informed along the way. If you would like to arrange a FREE On-Site Consultation with our team, simply fill out the Online Form or Call (512) 607-4001.